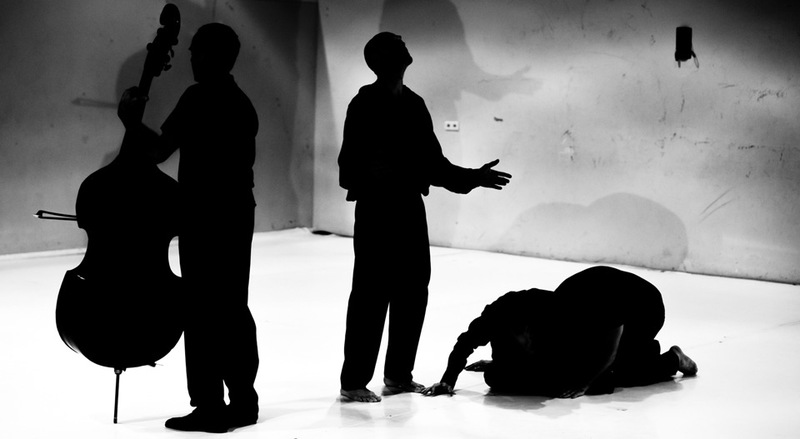 In Streugut, we slam several media together: movement, speech, voice and a musical instrument. We all come from varied trainings; our approach and understanding of how to express a feeling state, mood, attitude and/or vibration differs. We find common ground in the shared ability to listen, sense and pay attention. Whether it is a flash of movement, or a repeated phrase, we notice each other, following the sound and dynamic of the room or the music of the improvisation.